What is the secret to successful exam study? All too often, pupils think they have mastered the art of studying for examinations, leading to a false sense of security. There is always room for improvement. If they fail to organise their study time properly, they will probably not do themselves justice in the exam. Students use different coping strategies to prepare for exams. As their teacher, you are no doubt supporting them through this stressful period by giving them advice, guidance, and sensible tips to help them reach their true potential. We’ve gathered together some helpful tips which you might like to pass on. Please share any of your top tips with us. How many times have you read a page of a book then had to go back over the same page again because you didn’t digest any of the information contained within the text? This happens frequently during revision periods. The mind wanders, you lose focus and concentration, you are reading a passage but your brain isn’t taking anything in. Simply reading a text book is an act of passive study. Encourage pupils to engage with the information they are reading by writing, drawing and analysing the information they are being provided with. Get your brain busy with the material to fully understand what is written on the page. Organise a careful sturdy plan that ensures you allocate enough time to each individual topic. If you know you are stronger at some subjects than others, work the study time around this so you can spare more time to study the areas you have difficulty with. A wall chart can be useful when you are planning for exams. Jot down each individual exam date and have a structure of revision in place that helps you to revise for each topic in plenty of time. Putting all your eggs into one basket by carrying out single cramming sessions can be a risky exam strategy. It’s much better to revise for individual exams a week or so before the date, then have smaller cramming sessions for each subject a little closer to the date. Your brain will only be able to absorb so much information during one cramming session and it is bound to forget some of the most important details. Revisit individual subjects as much as you can to really achieve the grades you want. Be strict when you are revising. Having your mobile next to you or your laptop open on your favourite social networking site is a recipe for disaster if you are trying to concentrate on studies. Leave anything that might distract you out of the room, whether this is your tablet, smartphone, or your pals! Revising with other people might seem like a great idea at the time but unless you are extremely disciplined, which is very unlikely, you really are better off working on your own. No matter how confident you feel about certain subjects, or how adept you are at studying for exams, there will always be topics you struggle with or parts of the syllabus you simply don’t understand. Don’t ignore this if you are struggling to revise key topics at home. Seek help from your friends or ask the teacher for assistance and get them to explain it to you. As a teacher, you can encourage this by making it very clear that nobody understands everything straight away. Sometimes, all a pupil need is some very basic pointers to make everything nice and clear. Note taking is a bit of an art. Students either take too many notes or don’t take enough, failing to get the balance right. This only becomes apparent when the pupil is back at home trying to revise and they realise the notes they have taken are woefully inadequate. Effective note taking is a vital part of revision study. For starters, take down anything that is written on a whiteboard or projected onto a screen. If your teacher has written it down it has to be important. Next, listen for audible clues during lectures such as, “Here are a few key points” or something similar. If the teacher is stressing a point it should be notated for use afterward. Listen out for verbal clues to become an amazing note taker! One of the biggest mistakes you can make when revising for exams is to leave studying until the very last minute. As already mentioned, you have to be proactive with your study time and have a structured plan in place to effectively cope with exam stress. Plan your time efficiently and never stay up late studying for a test you have the next day. Sure, you might think this last minute cramming session will keep everything fresh in your mind but you couldn’t be further from the truth. In reality, you will simply go to sleep with your mind buzzing and your sleep pattern will suffer as a result. You’ll be tired the next day, your brain will feel frazzled, and this is going to affect your performance. Do some revision the night before but get to sleep at a decent time so you feel fighting fit and fully refreshed in readiness for your exam. Pass this advice to your pupils and you will actively encourage them to adopt effective study methods. If you have any other tips for effective exam preparation, please let us know by mailing Corinne at Corinne@worldclassteachers.co.uk. We will try to incorporate them in future blog posts. 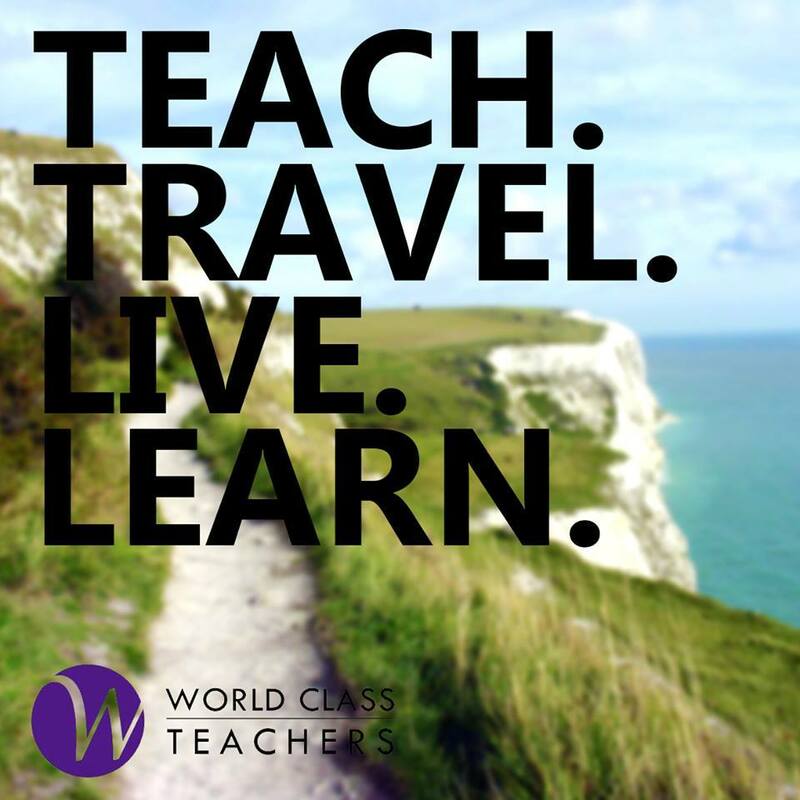 Whatever level you teach, if you are looking for London teaching jobs we are sure to have the perfect fit for you here at World Class Teachers. Simply submit your CV to us today, contact us online or call +44 (0)208 579 4501 to embark on your next teaching challenge.